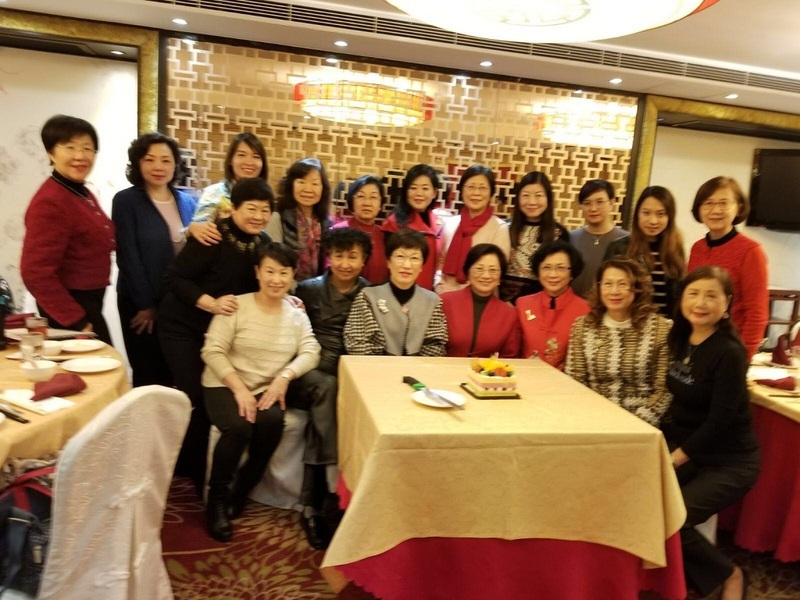 The 2017Christmas Family Lunch Party took place at the Aberdeen Boat Club香港深灣船會. 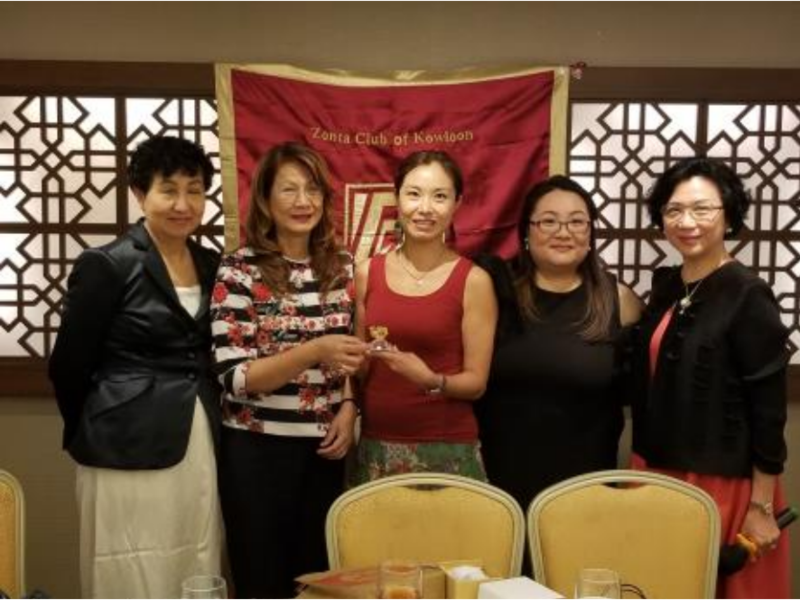 Members and families, the ideal venue overlooking Aberdeen Harbour for a fabulous get-together of ZCK members with Z Club members from QES and Golden Z from Lingnan University. Besides the DIY session of lip balm. 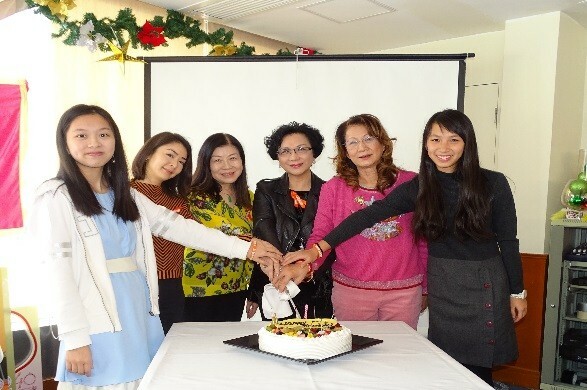 ZCK arranged a celebration of the December birthday girls, including. 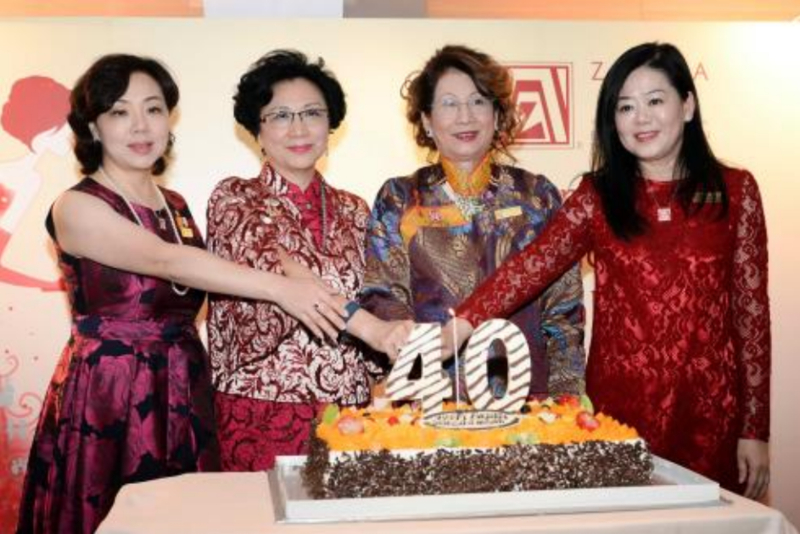 Winnie Teoh, Helen Kwan, Ada Fung, Agnes Koon and Selina Cheng’s daughter Jennifer Cheng. 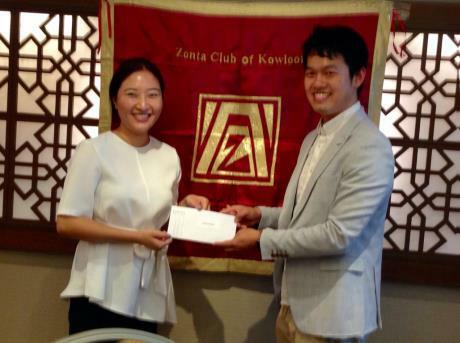 Thanks to the Fellowship Committee, ZCK had a very special opportunity to visit Tze Shan Monetary. Members had a good vegetarian meal at the Monetary. Also thanks to Irene Ho who made this connection for us. 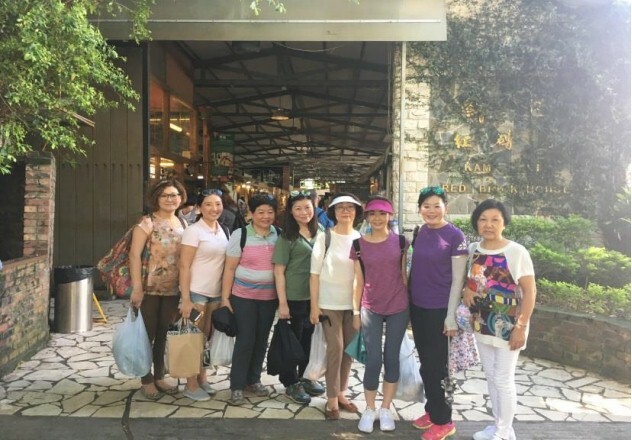 Kam Tin Day Tour was held on 26/8/2017 (Sat). We had total no. 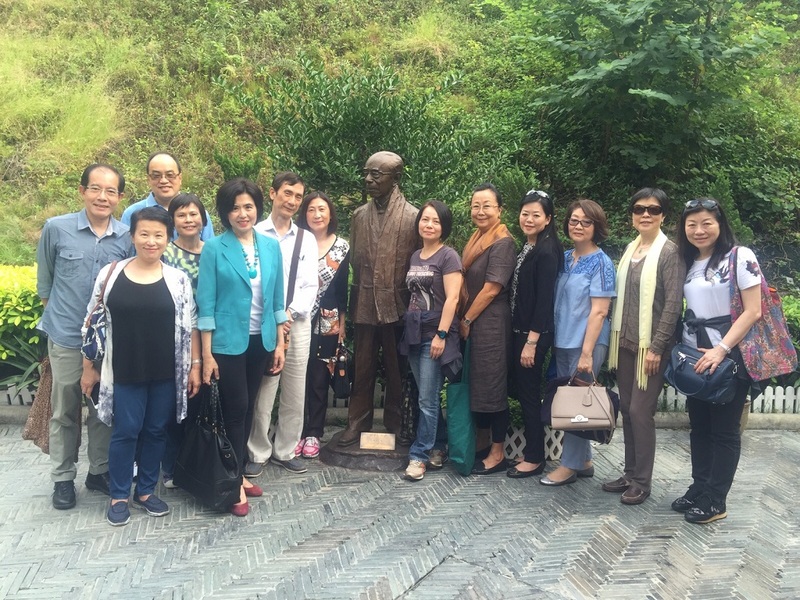 of 8 members including 1 potential member and one family member participated the tour. We had lunch at the local restaurant and visited Red Brick House (紅磚屋) , Kat Hing Wai Walled Village (吉慶圍) and local bakery. We all enjoyed the tour and purchased different types of local produce. 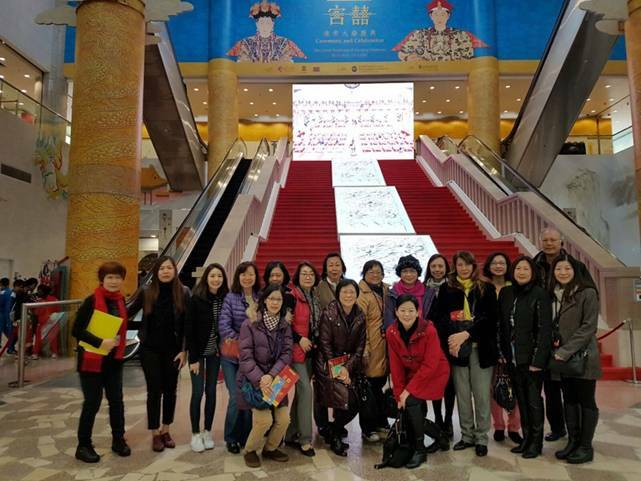 In a half day group visit to the exhibition of Ceremony and Celebration – The Grand Weddings of the Qing Emperors on 25 February 2017, 16 sister Zontians, family members and friends get up close and personal with the processes of the most solemn celebrations within the Forbidden City. 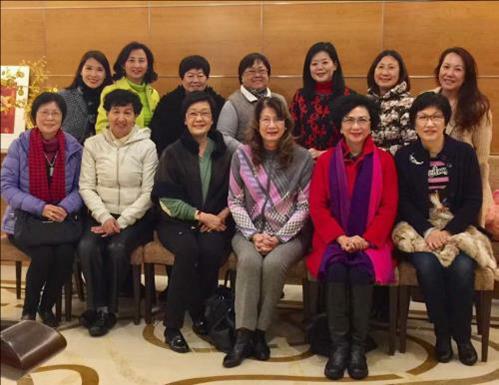 The group visit is made possible with the arrangement and reservation of dear sister Zontian Margaret Leung (Hong Kong East). That is very kind of her. 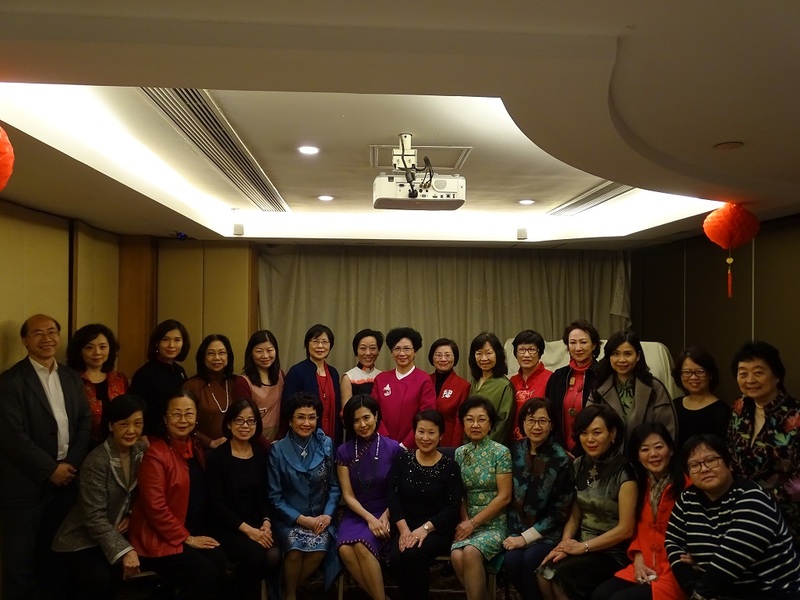 Our 2017 Spring Dinner was held 13 Feb 2017 Monday at Yau Yat Chuen Club, not sumptuous but full of fun, love, show of appreciation and blessings. 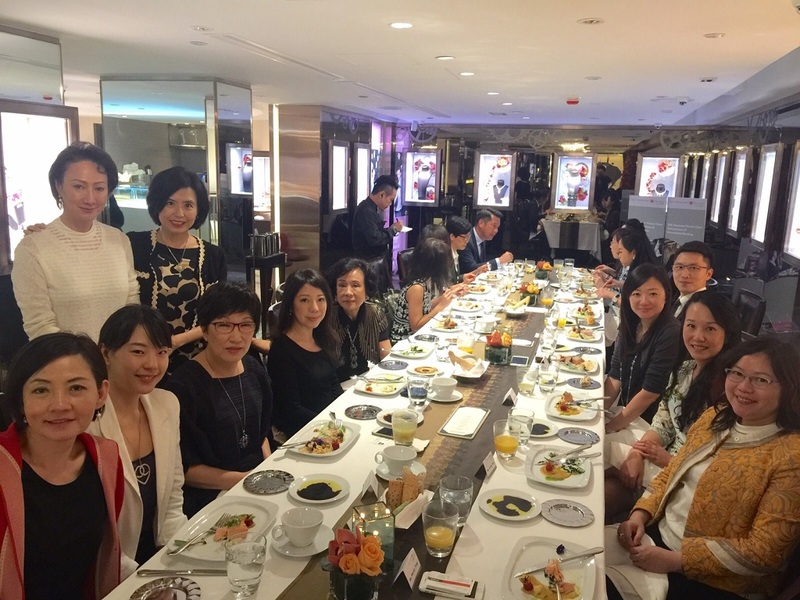 14 members celebrated over a really gourmet dinner. Christmas is the season for togetherness with family and friends which means more than just giving and receiving presents. 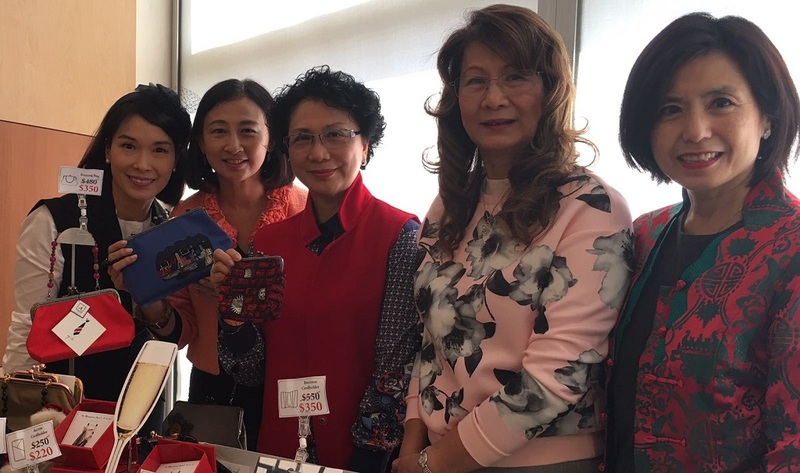 Sisters of ZCK not only seize the awesome time of 2016 Christmas Luncheon Buffet Party on 10 December 2016 but also never miss the great opportunity to do charity through generously purchasing the very chic products made by Les Beatitudes (LBA 愛連心）a social enterprise founded by Zontian Margaret Leung, who is a good example of exuding inner beauty, lighting up and radiating towards through her unreserved efforts in LBA to help housewives LBA aims at empowers housewives to gain self confidence through working at home and looking after their families at the same time. 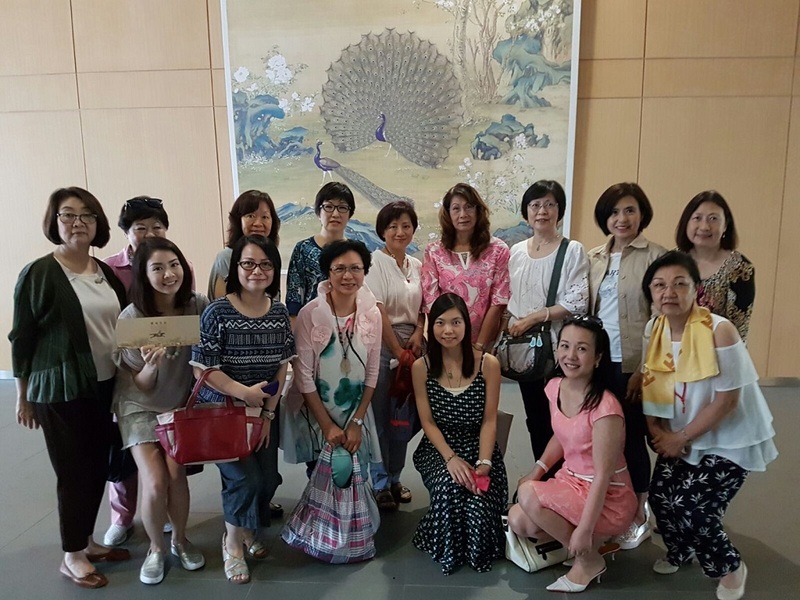 A group visit of 15 Zontians to the exhibition of “Painted Ceramics: Contemporary Treasures by Jingdezhen’s National Masters from the Lamda Foundation” was held on 15 October 2016. 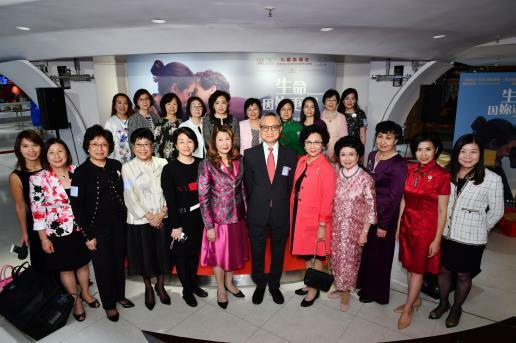 It took place at the wonderful Fung Ping Shan Building which is a university museum of serenity, culture and art. 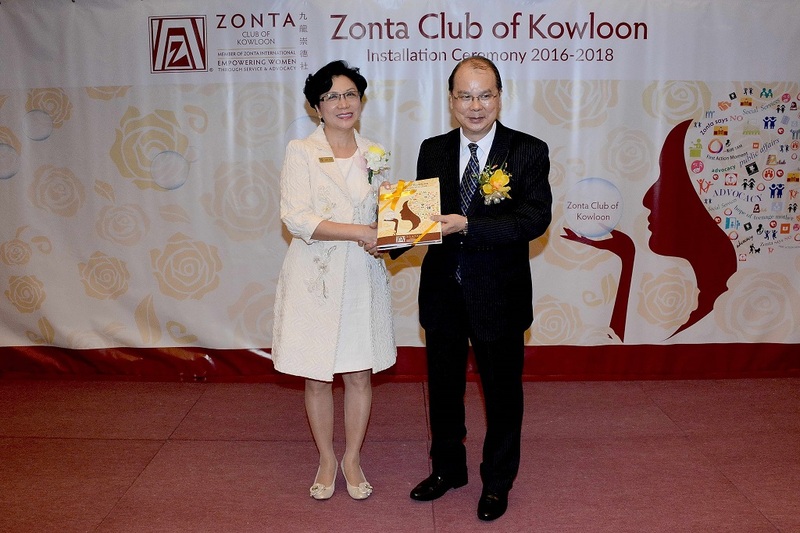 Many thanks to our Sister Zontian Christine Yip‘s husband Dr. Dickson Wong (Co-founder of the Lamda Foundation). 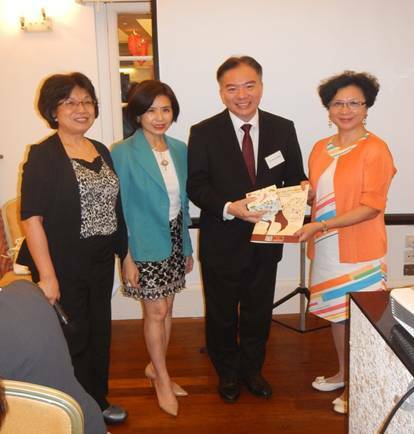 Dr. Wong greatly honoured us as the personal guide to share his love and passion of ceramics. 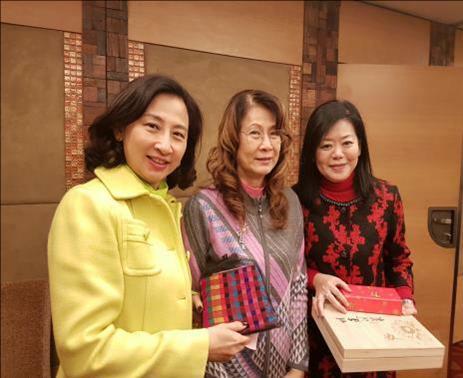 The happy experience did not end at Fung Ping Shan Building as every participant was given the lovely catalogue of the exhibition. 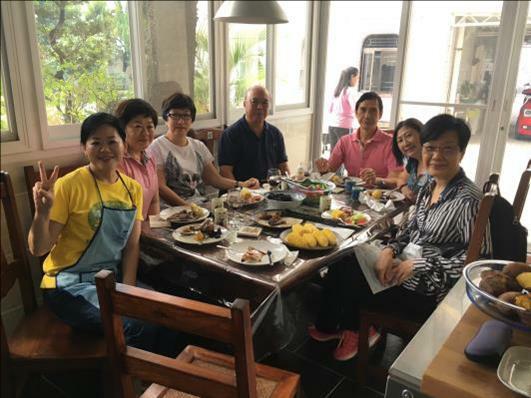 Moreover, a cheerful and relaxing lunch followed which would have been impossible without recommendation and kind arrangements by Zontian Winnie Teoh. An inspiring guided tour to “Giuseppe Castiglione – Lang Shining New Media Art Exhibition” 「藝域漫遊——郎世寧新媒體藝術展」 at City University of Hong Kong on 30 July 2016 instilled in us a better understanding of Chinese arts through the showcase of the impressive masterpieces of an Italian Jesuit missionary called Giuseppe Castiglione (1688-1766) who turned out a unique East meets West painter at the imperial court of the Kangxi, Yongzheng and Qianlong Emperors. The exhibition further provides a compelling interactive and multi-sensory animation experience when new media integrates grippingly with contemporary interactive art. 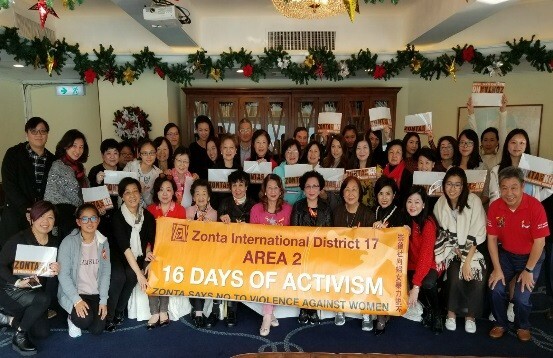 Sister Zontians, their friends and partners showed how much they are in common, independent, fearless, hardworking, resilient and fun-loving. 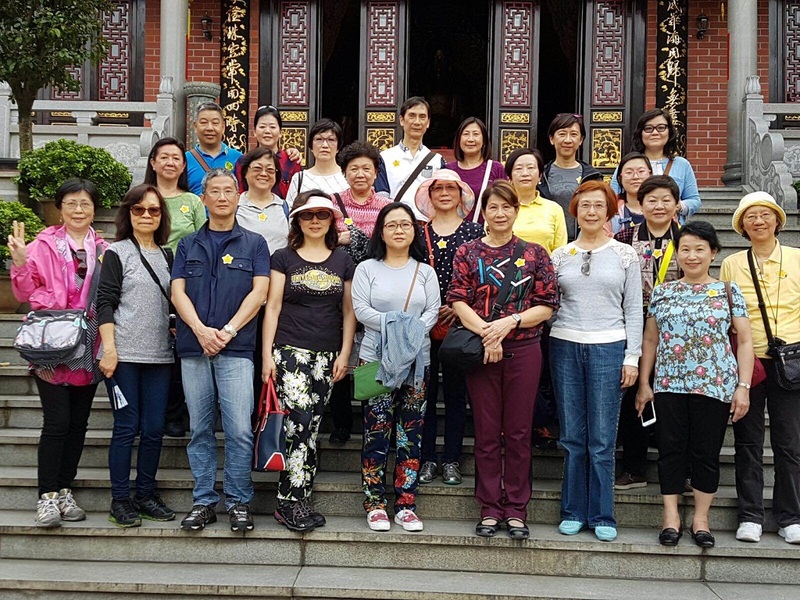 Despite the wet weather and grey skies (with occasionally pouring rains), all of them wisely made the most of bad weather when taking to the road and go exploring Shantou and Chaozhou. Instead of being cooped up indoors and feeling grumpy, they made own entertainment with happy shopping, canny bargaining and jokes. 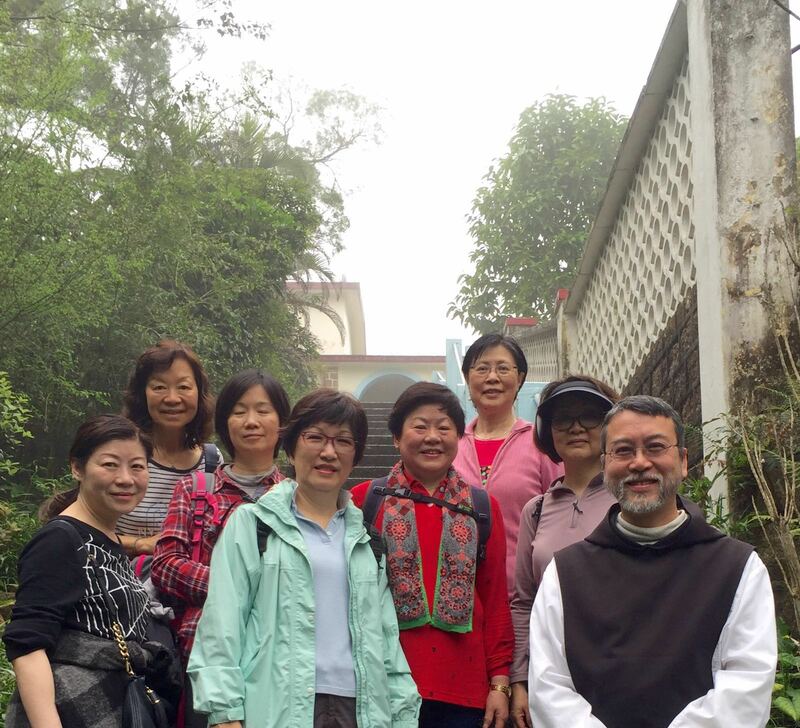 Several Zontians took part in a hiking event on Lantao Island on March 19, 2016. The walk was for 3 hours starting from Mui Wo ending at Discovery Bay. Along the way we visited Trappist Haven Monastry and were given a guided tour. Our 3 hours exercise was rewarded with a sumptuous meal at Koh Tomyum Thail Restaurant before we headed home. It was a most enjoyable day under the sun. The 2015 Christmas Party was happily filled up with culinary delights and wonderful balloon decorations. Sisters not only enjoyed good wine and good food, but also had a great opportunity to learn balloon artistry. 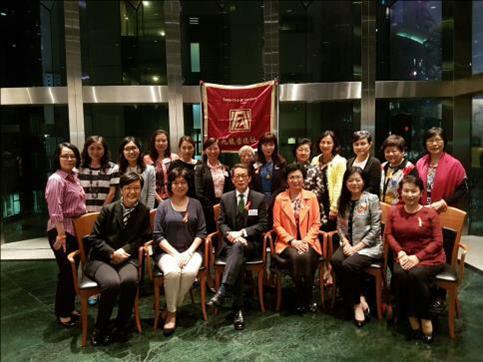 A group of twelve comprising Zontians and friends joined the Club's fellowship visit to Jao Tsung-I Academy on 14 November 2015. 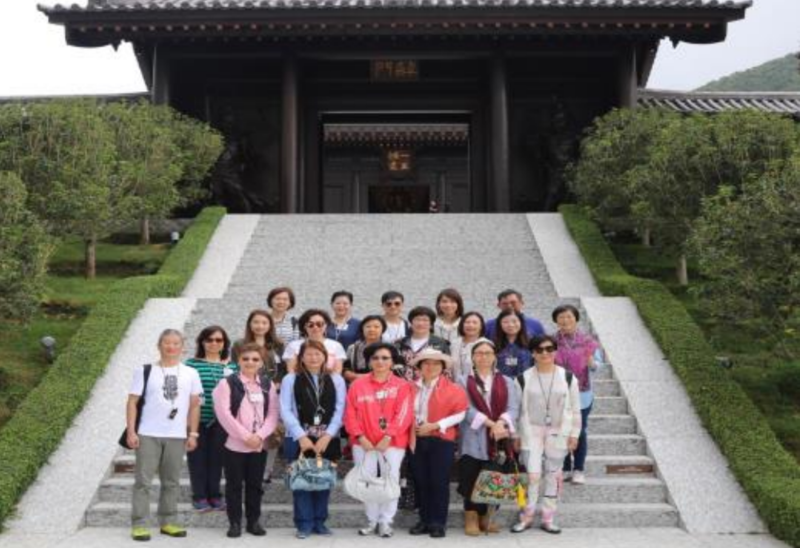 After a lunch at Gingko House, the group went on a guided tour of the Academy and learned a lot about this historical site. Located on a hillside in Lai Chi Kok, the Academy was once an infectious disease hospital, Chinese laborers living quarters, a quarantine station, a prison, and a psychiatric rehabilitation center. The compound is now revitalized as a center that promotes Chinese culture. 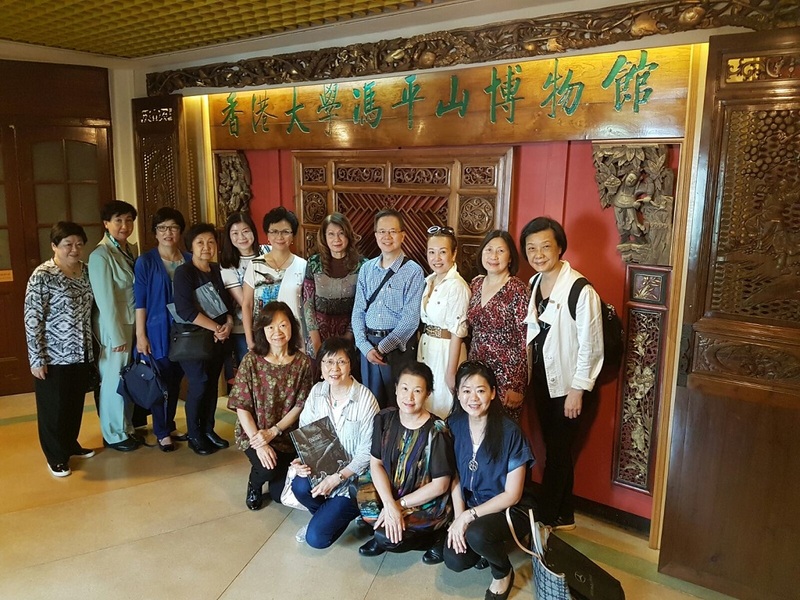 As the group explored the different houses in the Academy, they could enjoy viewing the extensive exhibits of the work of Professor Yao Tsung-Y and the history of the site. 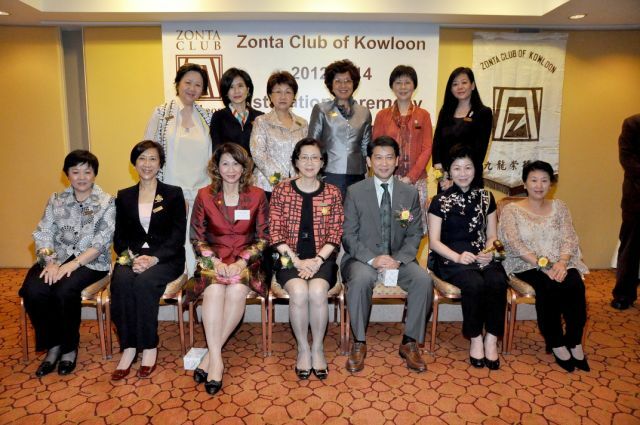 The Zonta Club of Kowloon holds events every year to raise funds through different activities such as Gala Premiere, Concert, Sports Day, Bazaar, Walkathon to benefit local and international service projects and scholarships. The Gala Premiere fundraising was held on 11 November 2017 Sat at the Grand Cinema, the Element. 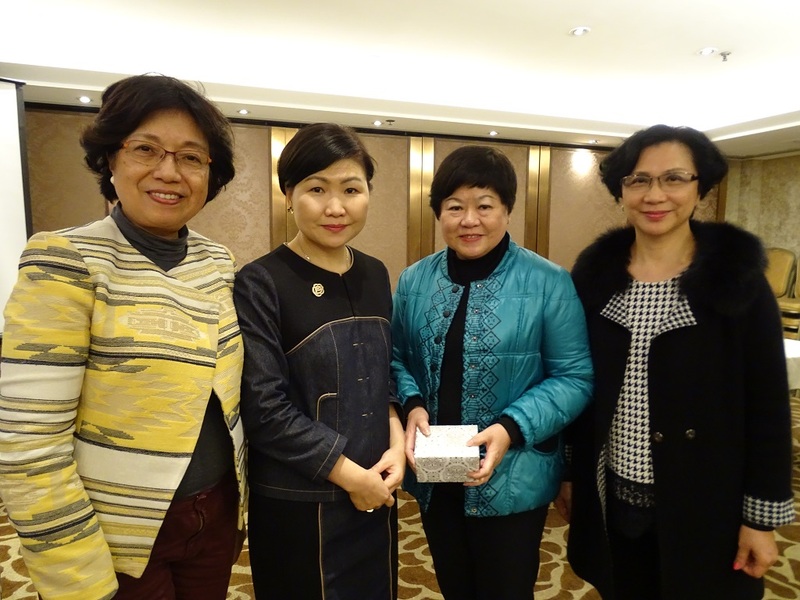 Before the movie, we had an Opening Ceremony to present souvenirs to our patrons. 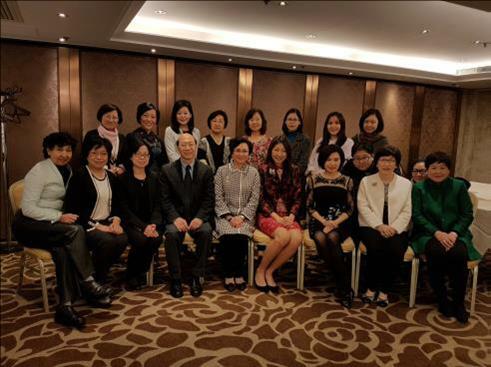 Dr Chui Tat-yi, Under Secretary for Food and Health, Madam Niu Hua of the Liaison Office of the Central People’s Government (中联辦) and Mrs Miriam Lau, GBS, JP, our Hon Member were our guests of honour. 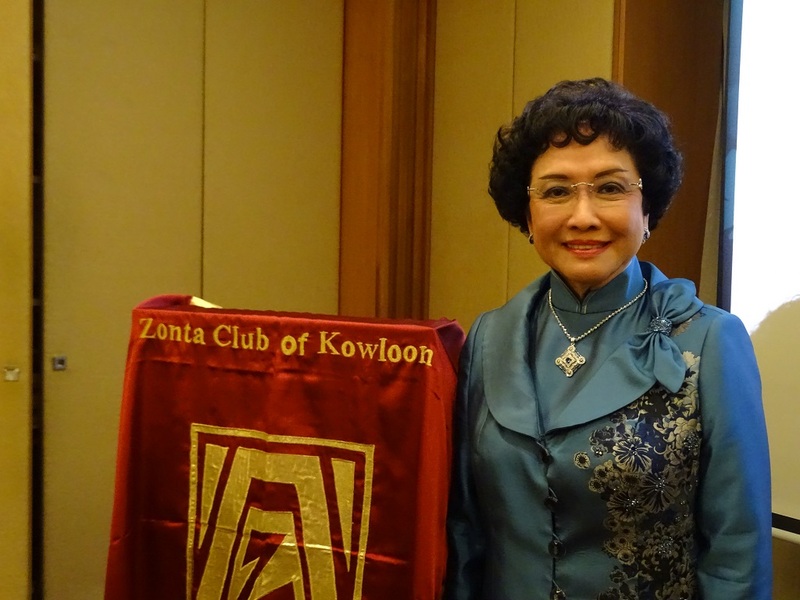 Our ZI District Governor, Ms Primitiva Perez-Sison who happened in Hong Kong that evening attended the Gala Premiere. The movie was inspiring, touching and encouraging! The funding we together raised was also encouraging. 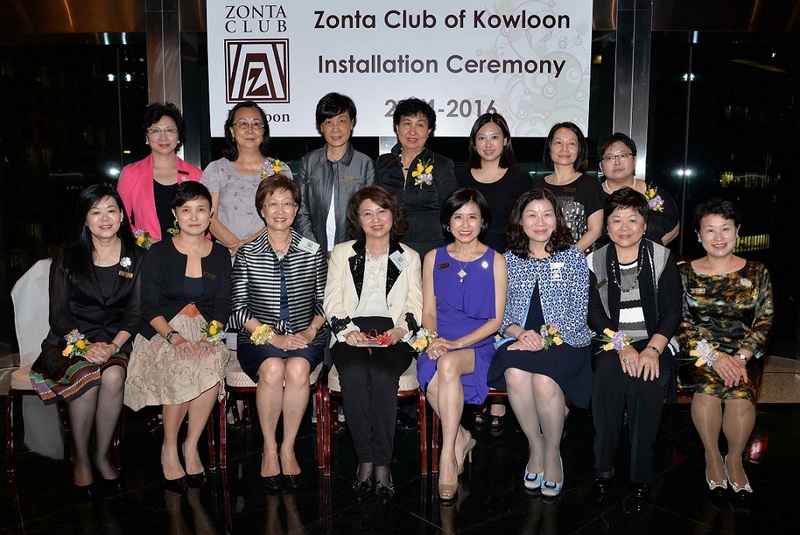 We raised just over HK$1 million. 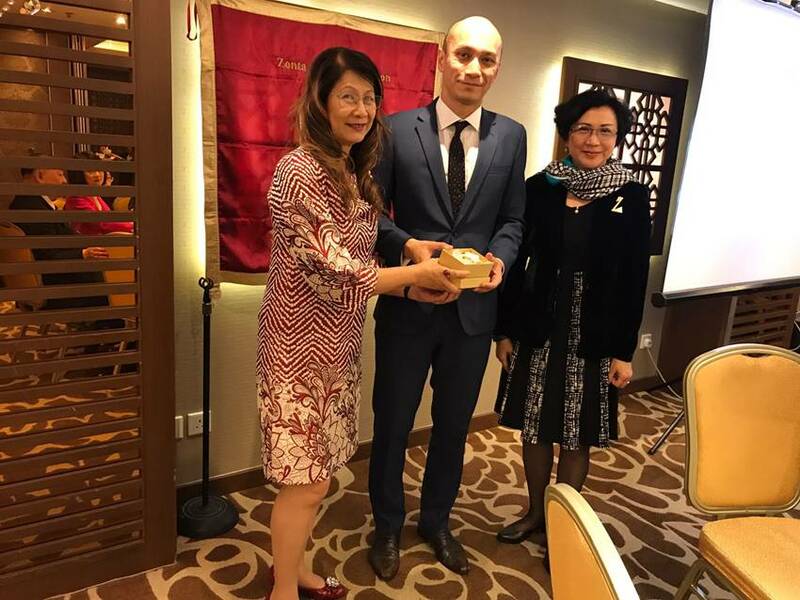 Speech from Guest of Honour, Mr. Matthew Cheung Kin Chung, Secretary for Labour & Welfare on "Retirement Protection Forging Ahead"
Dr IP, Wing-Yuk Josephine 葉永玉. 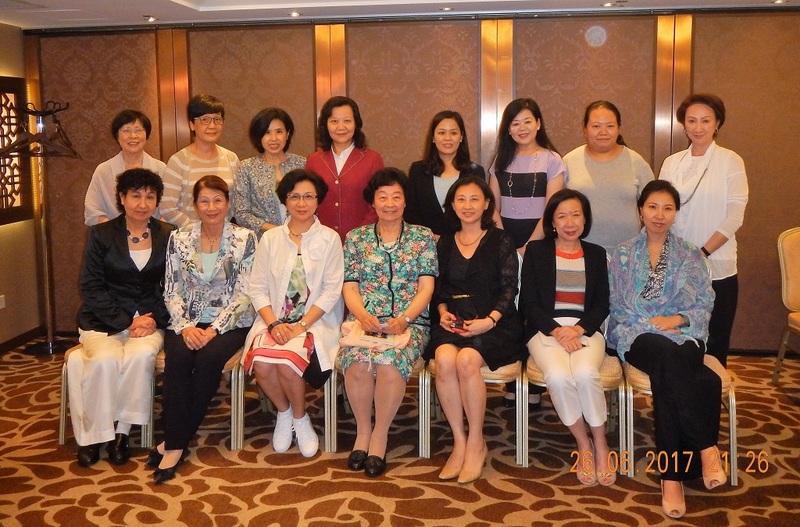 MBBS(HK), FRCS(Edinburgh), FHKCOS, FHKAM(ORTH), M.S (HK),. European Diploma of Hand Surgery. Clinical Associate Professor. Division Chief of Hand and Foot Surgery. Honorary Consultant. Clinical interests gave an useful talk on “Orthopaedics Perspective of osteoporosis” to prevent deterioration of bone tissue due to low bone mass. 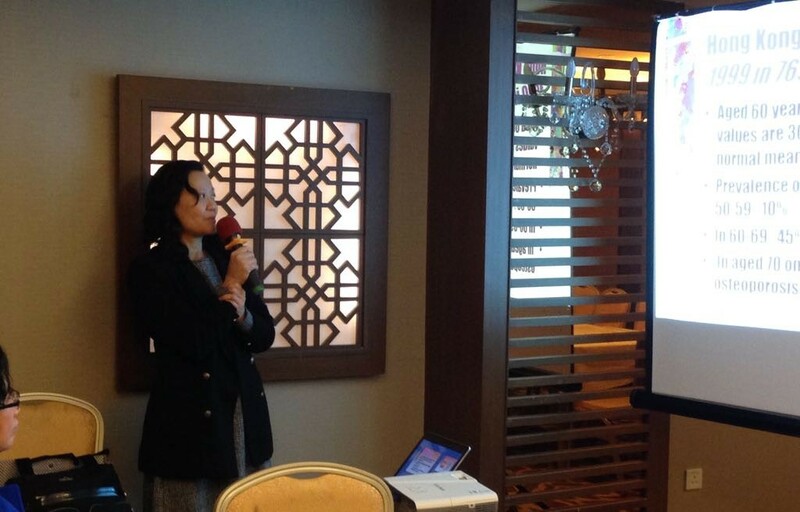 Ms Eva Cheng, Executive Director of Our Hong Kong Foundation gave us a talk on "The Development of Hong Kong Think Tanks in a Global Context 宏觀智庫在世界各地及香港的發展". This talk was very informative and has enlightened us why & how think tanks are developed and how they are ranked internationally and in China. 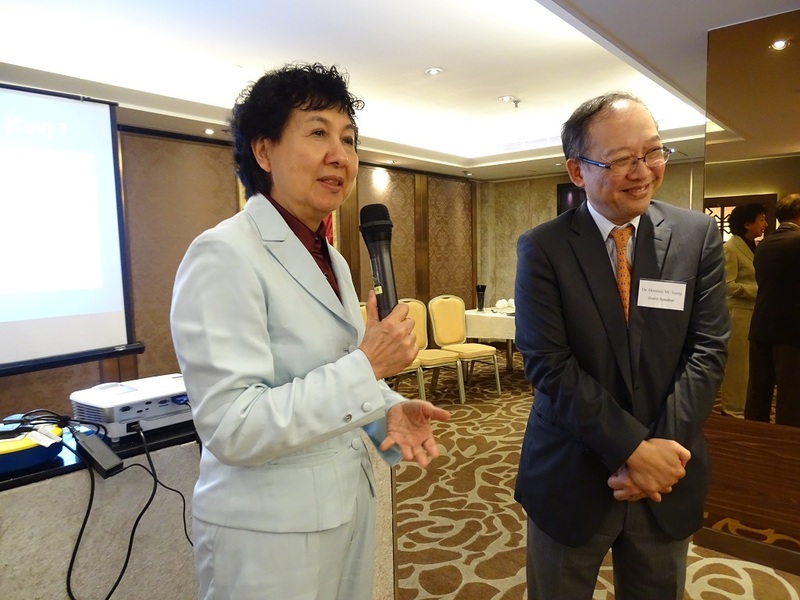 At the Talk, Ms Eva Cheng stated the mission and role of Our HK Foundation in formulation of many different areas of researches and recommendations to the Government. 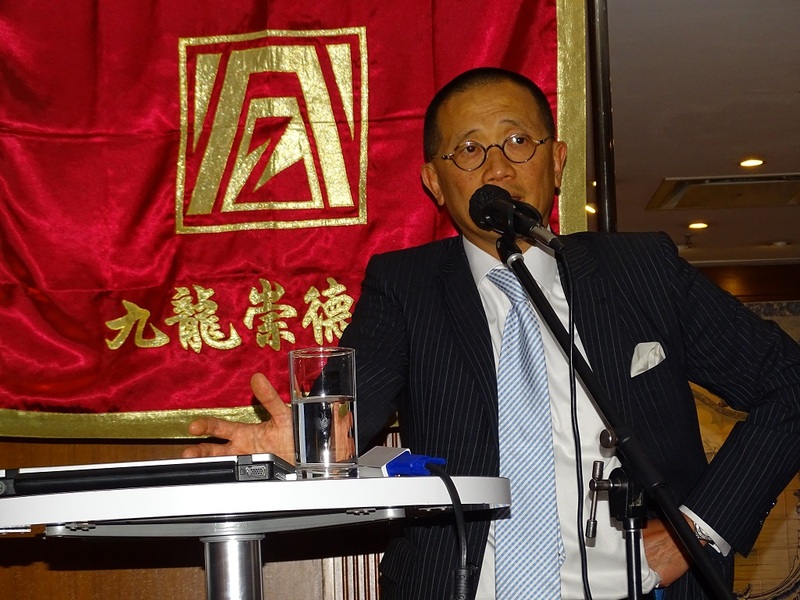 Business Dinner Talk on 24 October 2017 by Mr Chen Li Kwok. 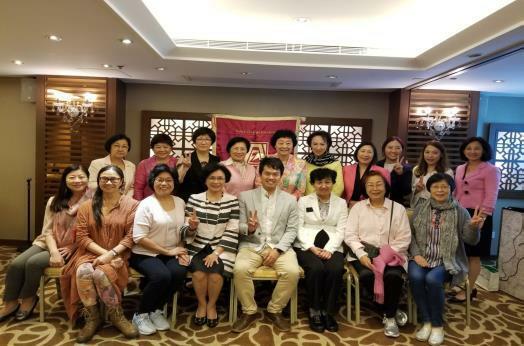 Mr Chen Li Kwok Registered Physiotherapist of Plexus Physiotherapy Centre representing DPM Company gave a talk on “A Good Night’s Sleep is All About Spinal Health”. The talk was very informative and useful particularly of the information on how to choose the right pillow. 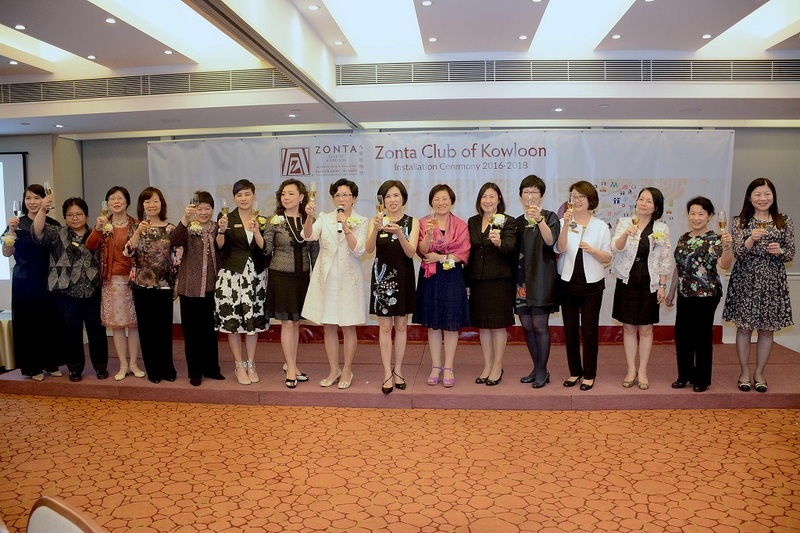 Business Dinner Talk on 24 September 2017 – Ms. Carlotta WONG, Managing Director and Co-Founder of Lexington Limited "女性創業篇 ~ 分享一個成功香港品牌的誕生，打造環保產品新趨勢". 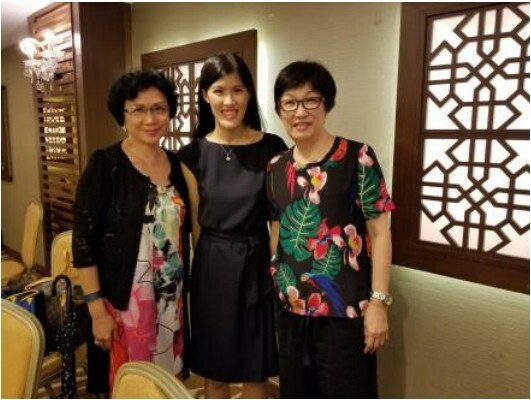 We thanked Ms Carlotta Wong and her sister Brianna Wong to share with us how Carlotta’s innovative but user practical ideas have developed her new brand names on household goods with environmental material. 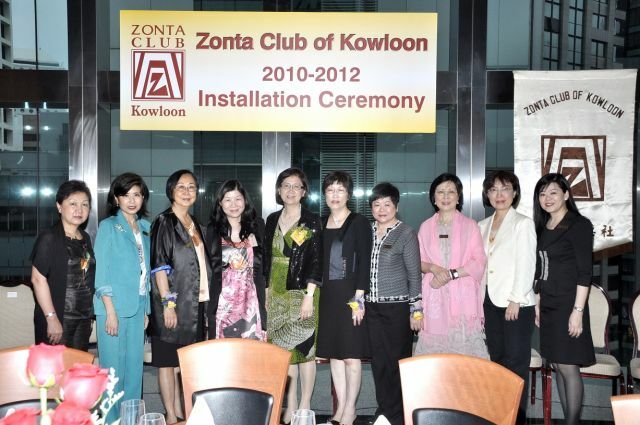 Dr Helen Tang, O&G doctor on "Common Diseases to women after menopause"
Our new member, Ms. Grace KWOK, Chairman & Executive Director of Allied Sustainability and Environmental Consultants Group Limited gave a very insightful talk on the topic of "Greening the City - the Role of an Environmental Consultant"
Zontian Joyce Chang shared stories of the Catholic Church Social Services in 100 years with highlights starting from traditional social services in caring for the underprivileged (including but not limited to orphans, the invalid and the poor) to the emergence of structured service institutions and extensions into the development of special services and public education. 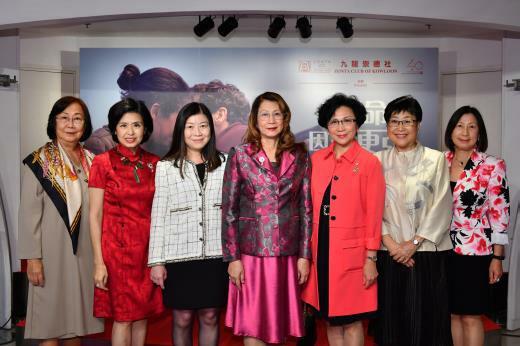 The stories inspired the audience of how those social services have grown up not only to curtail social ills and advocate justice and to respond to meet the changing needs in our society at different time, s but also to go on playing an important role in contribution to the many improvements in Hong Kong livelihood now and in future. 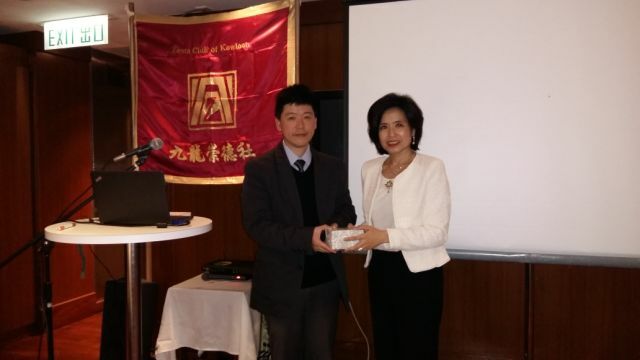 On 25 April, ZCK has the pleasure of having Professor Anthony Teoh the Deputy Director of Endoscopy and Associate Professor in the Chinese University of Hong Kong to go through the recent advances in surgery to further reduce the trauma associated with surgery in his talk “Performing surgery without scars”. His informative talk is an enlightenment on recent great advances in surgical skills & technology and how his tireless efforts have contributed to making great difference in the performance of operations. On 20 March 2017. 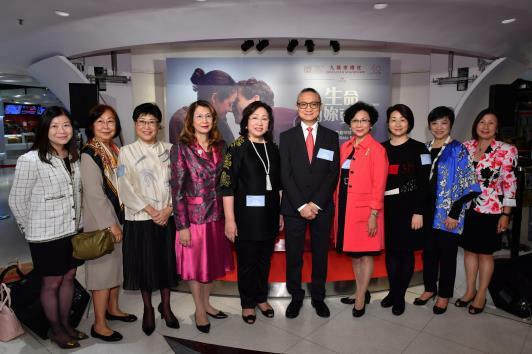 Mr Chau Hing Wah, curator of the Intangible Cultural Heritage of Hong Kong kindly shares his valuable knowledge and inspiring experience in safeguarding the Intangible Cultural Heritage of Hong Kong. 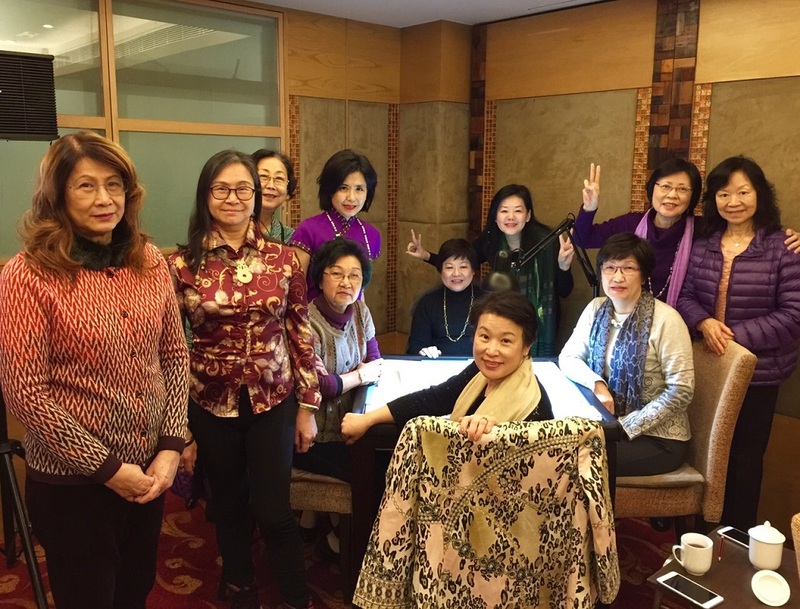 Some of ZCK members immediately voiced out that they would write to support the art of cheongsam into the representative list of the intangible cultural heritage of Hong Kong. 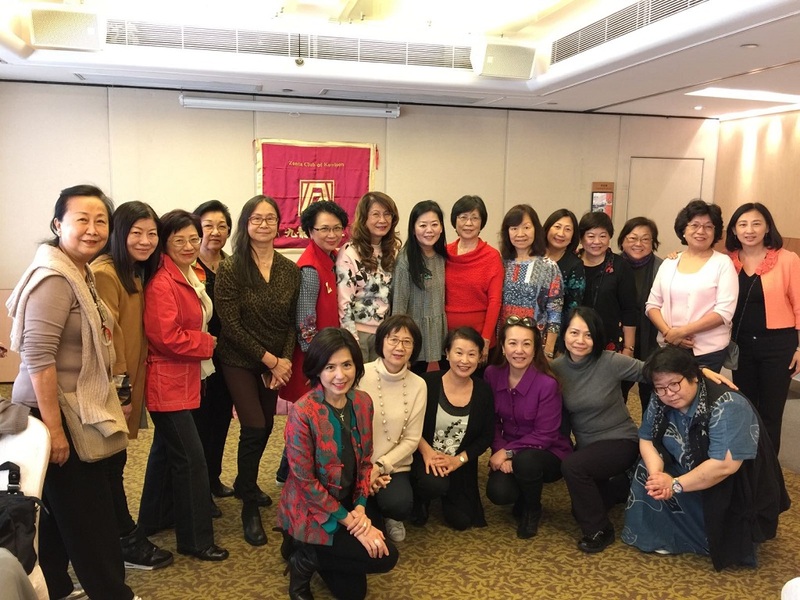 On 28 February 2017, ZCK members have the opportunity of broadening their knowledge in respect of care to the elderly from Ms Stephanie Tan, Executive Director of the Kinnet and Ms Sandy Chan of the Evercare on “Age Free a Golden Age-Mental, Physical and Emotional Wellbeing & Nursing Care at Home”. They speaks how important that we get moving in the security of a full range of health services and putting a solid plan in place for our wellness and for any future health challenge to us and our loved ones. On 9 January 2017, Dr Ko Wing Man (BBS, JP, Secretary for Food and Health) talks about the latest progress on his proposal of Voluntary Health Insurance Scheme ("VHIS") and his dream that he wants to achieve through a dual-track healthcare system which is equitable, affordable and accessible to the public by VHIS. 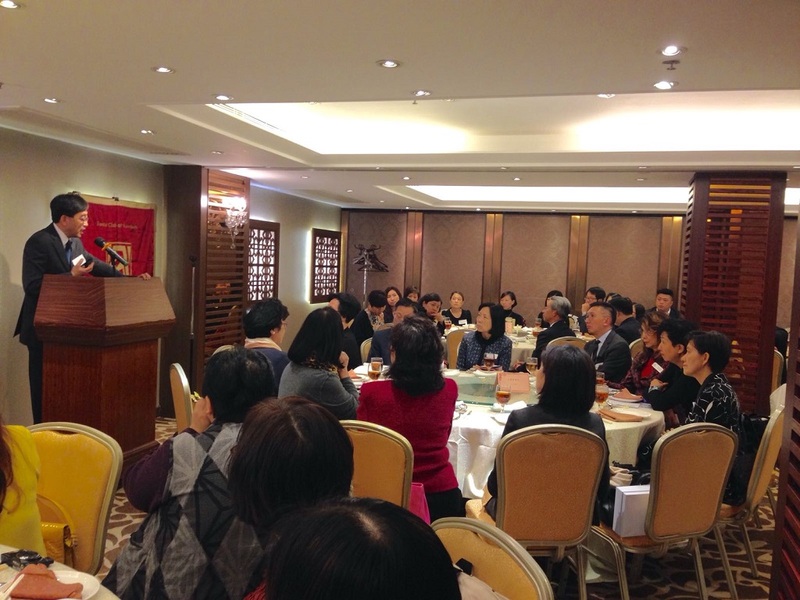 Talk from Mr Stephen Wong, Privacy Commissioner for Personal Data as our guest speaker took place face to face on 22 November 2016 about personal data protection in Hong Kong. The talk covers how the issue of Personal Data Privacy is so close to us when the constant flow of information is everywhere and how we should follow the ordinance. He also deliberated on how the big data can affect our daily life against the backdrop of a more integrated and interconnected global eco-system of data. 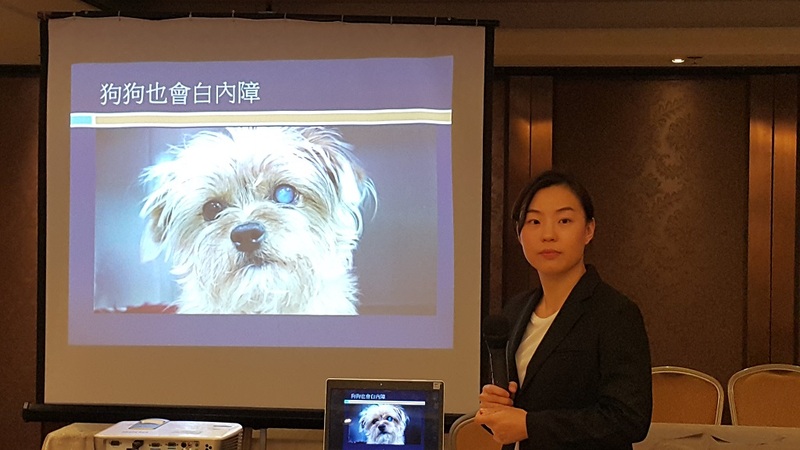 We have learnt more about protection of our eyes and common eye diseases, particularly cataract from the informative and interesting talk "Keep an Eye on Your Eyes" delivered by our fellow Zontian Dr Stacey Lam. Dr David Wong Yau-kar, Chairman of Mandatory Provident Fund Schemes Authority (“MPF Authority” gave a riveting talk on “MPF and Retirement Protection” enlightening how MPF as the 2nd pillar has been trying to achieve in the framework of the World Bank’s proposed 5 pillars on retirement protection. 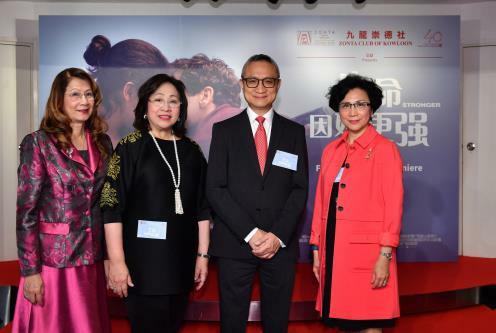 His talk brought us to recognize not only the continuing efforts of MPF Authority to remedy the deficiencies but also its vision to help tackle the challenges in connection with the ageing Hong Kong. The audience found the evening informative and educational. 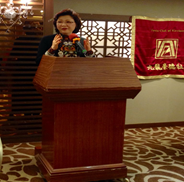 Ms Gilly Wong, Chief Executive, Hong Kong Consumer Council instilled the need of sustainable production and sustainable development against challenges close to us including climate change and environment pollution. 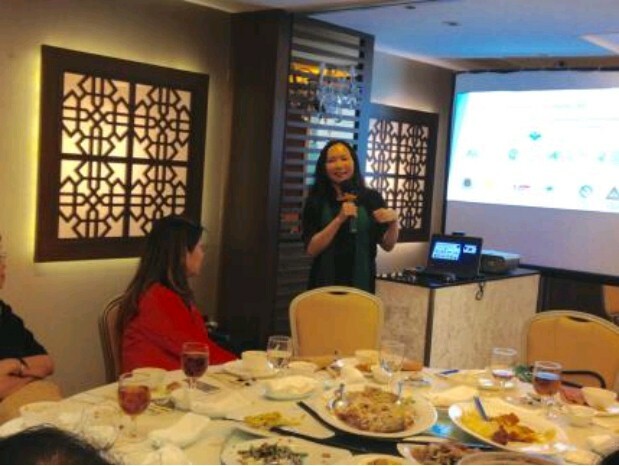 Audience was impressed by her sharing of her experience and efforts in striving to foster an environment of safe, fair and sustainable consumption in the Hong Kong market . 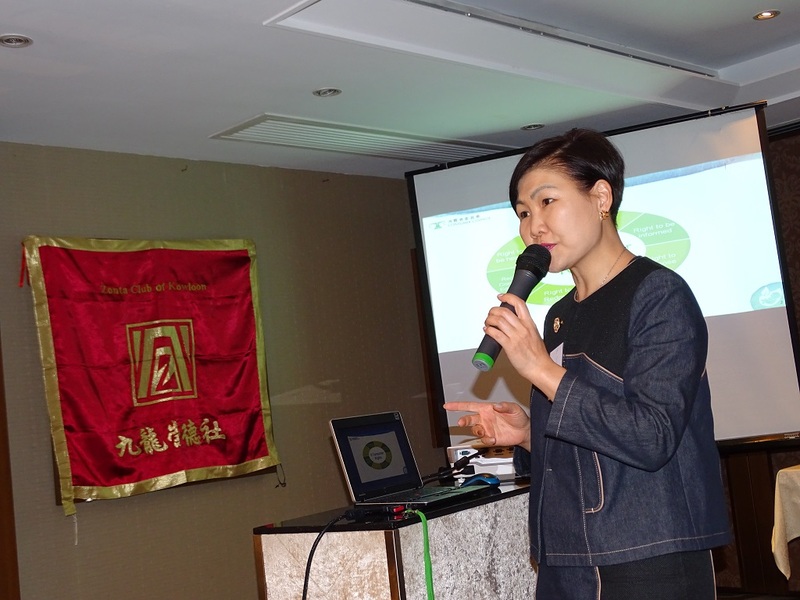 Dr. Wendy LEE gave a talk on the interesting topic "Trends in 3D Printing Applications". The talk inspired the audience to understand how 3D Printing not only can drive design trends and bring out creativity in everyone from sculptors, to architects, architects, engineers, character designers, artists, but also is poised to transform nearly every sector of our lives. 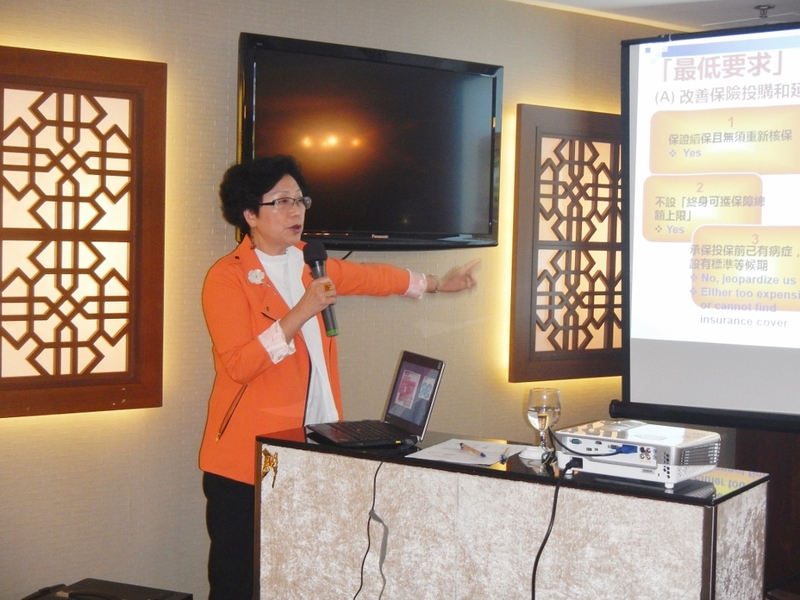 Talk by Dr. Dominic NC Tsang, the Head of the Infection Control Team in Hospital Authority on "MERS - Facts and Myths". 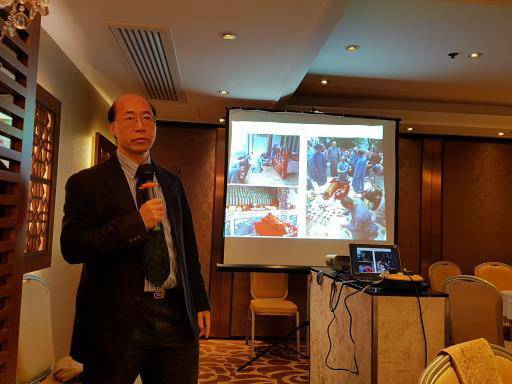 As we do not know much about MERS but it had unpredictably leapt from Saudi Arabia to our neighboring areas, it is time that we get wised up to the causes, symptoms, preventions by Dr. Tsang. Mr Kevin Ching shared his insider’s intriguing stories of Art in Auction when rich or smart buyers had spare cash to make high-profile purchases and how Auctions brings the Art, cultures, History, sellers and buyers and economy together. 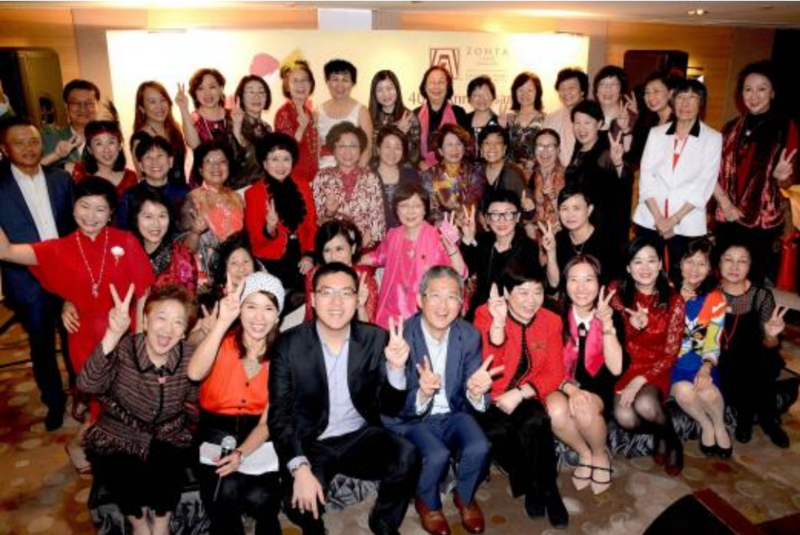 A wonderful night graced with the presence and sharing of Ms Vera Waters, leader of the famous Nu Skin group and an icon in Chinese Qipoa. Vera highlighted to us the traditions of this Chinese dress as well as how to mix and match fabrics and colours! 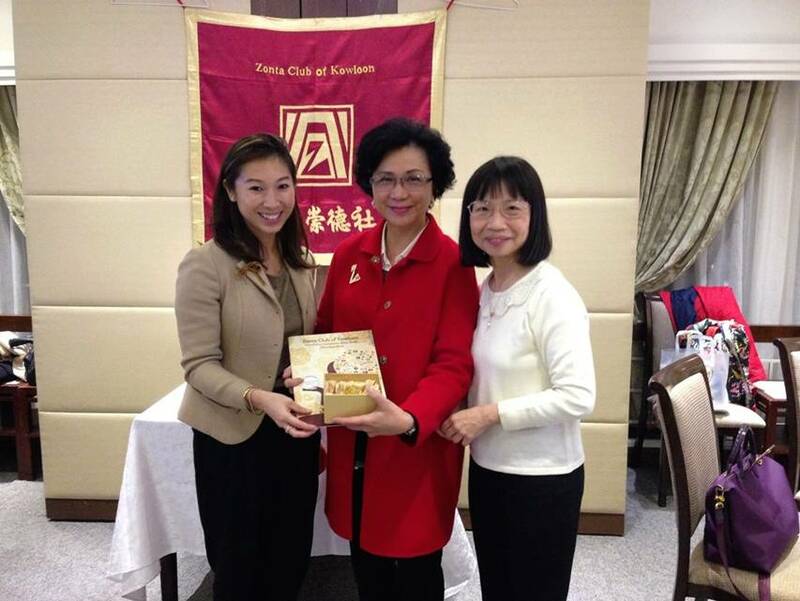 Dr. Tse is Past President of the HK Medical Association. His interesting and inspiring talk by enhanced our awareness in Cosmetic Medicine/Surgery - Risks and Benefits. 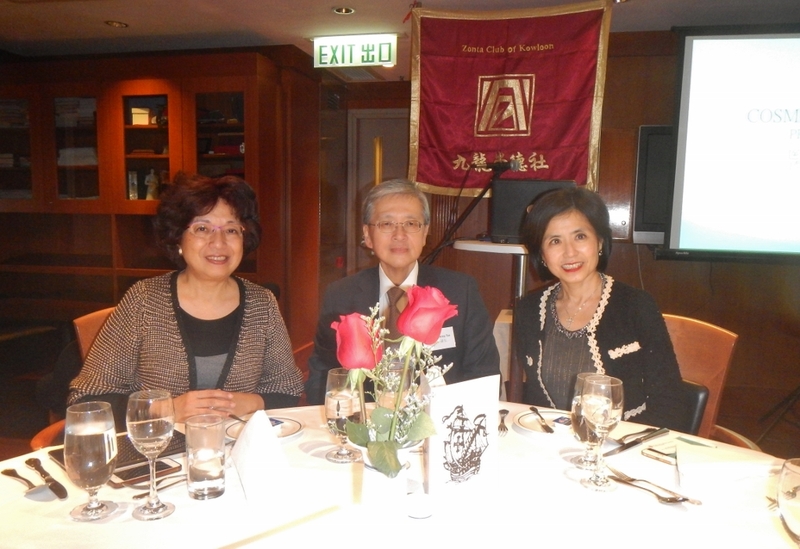 An enjoyable and fun evening on 27 January 2015 with Dr Raymond Tang, Curator (Chinese Antiquities) at the Hong Kong Museum of Art and Vice-Chairman of the Hong Kong Curators Association on "A History of Art Collection in Hong Kong". We were all impressed by the amazing knowledge of Dr Tan who is a captivating storyteller.